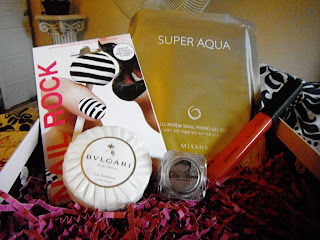 This month, Glossybox decided to do an International Style theme! I love discovering new products form other places, so I was pretty excited about the theme itself. But after last month's awesome box, I knew that this month would be a bit of a letdown. It finally arrived a few days ago! This month, we received five items! Bvlgari Eau Parfumee Au The Blanc soap: This is a beauty soap from Italy. This smells pretty nice and is a good size! However, I think it's a pretty boring sample to put in an international beauty box! That said, I will give it a shot. It's a very good sized sample. Nail Rock Nail Wraps: These are nail stickers, and I believe they are from the UK. I received black and white striped ones. I have used similar products, and for me, they are kind of a pain - They are usually too wide for my nails, and I find it difficult to get them trimmed to size! However, they look very nice when applied. I wash my hands a thousand times a day at work, and things like this don't last long enough to be worth it. However, I'll try them out as well! Missha - Super Aqua Cell Renew Snail Hydro Gel Mask - This is the thing in the box I was most excited about! I love Missha BB cream and I have heard of snail masks and creams for a while. This is a sheet mask from Korea. I already tried this one out! 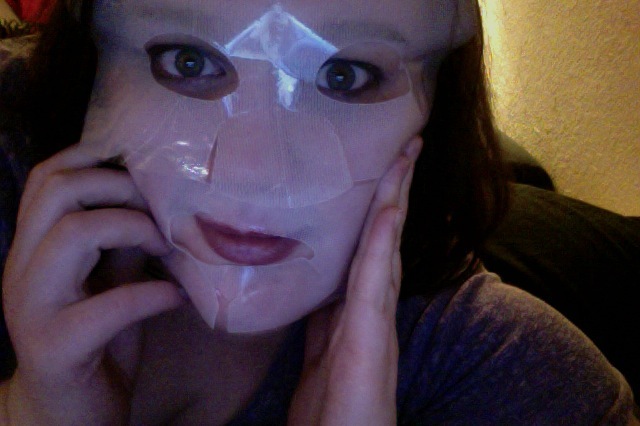 I have to admit, I didn't care for the sheet mask aspect - it was difficult for me to keep it on my face that long! But it left my skin feeling absolutely amazing. I've included a pretty terrifying picture for you below. Lisi Sheer Sparkle Gloss - This is a lip gloss from a boutique in New York. In the photo above, it looks red, but it is actually pink in the tube, and nearly colorless when worn. I wasn't very excited to get this, as I have more lipglosses than I will ever be able to wear, but I gave it a shot. Sadly, I don't think it's worth it. It is very, very sticky and has no color and very little sparkle. It felt terrible on the lips! This is a big disappointment. Da Vinci Cosmetics - Shimmer Powder: This is another US product. It is a shimmering mineral powder! They state that they can be used to highlight or as eyeshadows, but the color they sent me (Lava) is definitely too dark to be a highlight! It's pretty though - a dark brown with a light green duochrome sheen! I am excited to wear this as a shadow. Here is the Da Vinci powder (top) and the Lisi gloss (bottom). 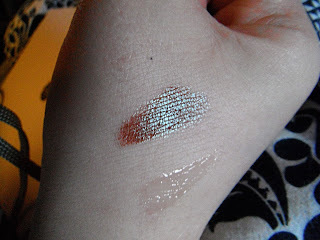 As you can see, the Lisi is basically clear, and the Da Vinci is quite pigmented! And here is evidence of how terrifying I looked while wearing the snail mask! Yikes! I think I would like this better if it were just in a tube and applied that way! Overall, I think this was a very disappointing month for Glossybox. For one, 2 of the 5 products are from the US...and this is supposed to be an international box! It just seems odd to me...and the UK product has a ton of dupes in the US. To me, an international themed box should contain unique products from different countries! In my opinion, the snail mask is the ONLY product in this box that is truly that. And, theme issues aside, I just don't think the products are up to the usual Glossybox standard. I enjoyed the mask, and I will use the shimmer powder. Other than that, I just see myself tossing the other things aside and forgetting about them. I mean, a bar of soap, a sticky lipgloss, and some nail stickers...? Luckily, I had cashed in my Glossydots and got this box for free, but if I paid for this box, I'd feel cheated. along with function placed; Masu thus, you can actually take benefit from educational funding he or she can assure the fact that people will need to with no bother. If you think you will need a cash payday loan you end up picking, take note that you have got selected them pertaining to just the appropriate motive. Once you see it properly, I actually use fast cash advance. Приятная статья - я прошу изучить – [url=http://www.spavoda.ru/shop/lazerny_apparat/so2_lazer/]сложно было устоять ты гений! фракционное лазерное омоложение[/url] удивительное рядом а когда будет продолжение. 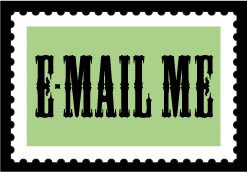 Lіnk exchangе іѕ nothing еlѕe howеver it is just placіng thе other person's website link on your page at appropriate place and other person will also do same in support of you.